The default image viewer on Windows 10 devices is the Photos application. Users can install third-party apps from the Microsoft Store or desktop programs like IrfanView, XnView, or FastStone Image Viewer to use better performing programs that are more feature-rich than the default application. Windows 10 users who worked on devices running previous versions of Windows or are still working on those devices may have used Windows Photo Viewer in the past to view images on these devices. Windows Photo Viewer is still available on Windows 10 devices but the program's accessibility depends on whether Windows 10 was clean-installed. Windows Photo Viewer is available as an option if the device was upgraded from an earlier version of Windows, e.g. Windows 7. Microsoft ships Windows Photo Viewer will clean installations of Windows as well but it is hidden and cannot be reactivated this easily. Why you would want to use Windows Photo Viewer and not Photos? Easy: Photos uses a multiple of the memory that Windows Photo Viewer required to display images. If you use both tools to display the same image, Photos uses about three times as much RAM as Windows Photo Viewer. This increases to a lot more when you don't open the image directly in Photos but go to the visual listing of all available photos instead. RAM usage may go up to 400, 500 or even more Megabytes easily. Windows Photo Viewer should be available on devices that were upgraded from previous versions of Windows to Windows 10. Right-click on any image on the Windows 10 machine and select Open With > Choose another app. Select "More apps" if Windows Photo Viewer is not listed. Scroll down to see if the program is listed. If you see it there, Windows Photo Viewer is installed and ready for use. If you don't see the program listed there, you need to make a couple of changes to the Windows Registry to bring it back. The user Edwin over on Ten Forums published the code for the Registry that you need to add. I have created the Registry file for your convenience but you can head over to the forum to create it yourself if you prefer it. I tested the Registry file on Windows 10 version 1803 and the latest Insider Build of Windows 10 version 1809 and it worked on both. Just extract the Registry file after the download and run the Registry file to add the information to the Registry. You need to restart the PC and should have Windows Photo Viewer as an option in the Open With menu and elsewhere on the operating system. You can make Windows Photo Viewer the default viewer for images but you cannot use the Settings application for that. Microsoft blocks desktop programs from becoming the default (programs you can browse to on the local system), and suggests only some there. Use NirSoft's FileTypesMan to associate desktop programs with different file types. Check out the linked article for detailed instructions on how to do so. Windows Photo Viewer uses less RAM and it may even open faster than the Photos application on Windows 10 systems. It may be an option on a system where you may not install third-party viewers which offer better performance, resource usage, and functionality. Now You: Which program do you use to view images? Find out how to restore the Windows Photo Viewer desktop program on machines running Microsoft's Windows 10 operating system. I use Windows Photo Viewer on Windows 10. The Photos app is not impressive in any way to me. I can’t use the photos app at all, it’s slow as heck! can’t zoom very well either.. the Windows Photo Viewer is perhaps the best thing that ever happened to Windows. I’ve had to use a registry hack to get it to appear back on the “open with” list… but sadly it doesn’t see to stick after I select it with “always use this app”… MS is trying to get rid of it for real :/ gotta make a stand alone version of it somehow. Very clean UI and also fast. Lots of options, although a lot of them are different than Irfan or FastStone. This one is better suited for quick viewing and sorting. Doesn’t work on 1803 as of October 2018. After adding the changes to the registry and rebooting I clicked on a jpg and it just brought up the dialogue to set the default program. When I selected Windows Photo Viewer it opened the first time, but just went back to the Windows 10 app after I closed it. Same issue here. It seems like it changed my default back after the last update too because I was running photo viewer fine a month or so ago. How can I download pastebin.com/4AeNKDcz registry code as an executable installer .reg file? I’m not savvy enough to fiddle with registry keys manually. select download in pastebin then change the file extension from txt to reg. This is the one that worked after October 2018 with 1803. The Windows app is heavy and resource-intensive, Picasa Photo Viewer (portable) is still the best for me. Windows 10 best Windows, becausr new…. durrr…. It pretty much is the only justification for this OS, really. I’ve been using HoneyView for a few years now and it’s the best image viewer for me. It’s published by the same company as Bandizip. Very fast, light on the resources and has some neat features. You can also hide all interface including Windows titlebar (unless you mouse over it) so it only shows the image and nothing else which is nice. I use this all the time, but maybe I should look into alternatives. The Photos app really is just garbage (GIF support is nice, tho). 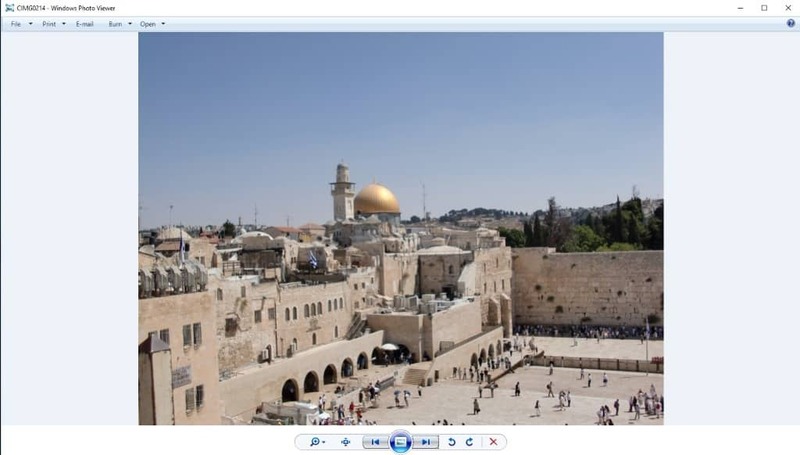 Faststone image viewer for jpegs. Light and fast (except for loading tiff files). Nikon ViewNX-i for Nikon NEF files. Or you can use….Winaero Tweaker….https://winaero.com/download.php?view.1796.. It will give you much more, even disable telemetry!!!! On Windows 10 build 1809, I can’t associate any file extensions besides .tiff with Windows Photo Viewer. The method given above worked on 1803 and all previous versions of 10. Looks like XnView is now my default viewer. Yup, doesn’t work after October 2018. You can still access Windows Photo Viewer if you right click and choose it to open, you can even check ‘always open’ with this, but as soon as you close WPV and double click to open the same photo even it’ll open with the Win 10 Photo app again. No way to set it as default either in settings. This is frustrating because WPV is blatantly superior for basic PNG, BMP, JPEG viewing etc. For a start when I want to zoom in Win 10 Photos it is cumbersome and often fails to work, or works extremely slowly. This is on a machine with an 8th gen Intel quad core, 8GB RAM and a higher end SSD storing the photo data! But in the old WPV you scroll in and instantly it zooms. Somehow Microsoft have replaced a fast nippy intuitive photo viewer of old with a crappy, slow, memory hogging one with trash controls. Thanks geniuses! Doesnt work as not show it up anywhere so waste time doing…. You ROCK! I accidentally deleted Photo Viewer today, and looked all over for help getting it back. I finally gave up, but then decided to give it ONE more shot. There you were — and that zip file WORKED. I really hesitated to let it loose on my computer, but I’d done a system restore point earlier so went for it. Now I can view my photos again. Whew! !